Today, Iran marks the 35th anniversary of the Islamic Revolution that toppled the Shah’s regime and brought Khomeini to power. This mullah hijacked revolution has been one of the greatest disappointments of history. Iranians deserved better. Human rights activist and bard Hashem Shaabani, who was a vocal critic of “the treatment of ethnic Arabs in the province of Khuzestan,” was executed in Iran in late January after almost three years in prison, where he was reportedly tortured. The 32-year-old writer and father of one was known as “man of peace and understanding” by those he came into contact with. Shaabani and a man named Hadi Rashedi were hanged in unidentified prison on January 27, rights groups have said…. Last July, the Islamic Revolutionary Tribunal found Shaabani and 13 other people guilty of “waging war on God” and spreading “corruption on earth”. Iran executed 40 people over two weeks of that month, according to Amnesty International. According to the Iran Human Rights Documentation Centre (IHRDC) more than 300 people have been executed since Hasan Rouhani became president in August. Khamenei the terrorist who ordered his gang of arsonists to burn down Cinema Rex in Abadan and cause the burning to death of over 400 innocent men women and beautiful children. With all due respect from the beginning the rioters in Iran were shouting out "Dorood bar Khomeini !" If it wasn't for these extremist islamic mullahs and their followers the rioters never would have had the upper hand against government forces. The left always claim the revolution was hijacked from them by mullahs. But the truth is the Tudeh and Melli Mazabi were only deluding themselves into thinking Khomenei and mullahs are easy to control after downfall of the Shah. This "revolution" was in fact a plan to regain power lost by the clergy during Pahlavi period and turn Iran back into an Islamic carnival run by and for the purpose of keeping the people of Iran subservient to mullahs free loading ways. Add to that the treachery of the western governments and oil cartel against the Shah. This unfortunately is the simple truth. B.M.A., please delete personal attacks and resubmit your comment in reply to Anon 10:50 PM. Thnx. IT is very strange on your part to use your veto in blocking a reply to the biggest mouth on this blog.Strange again is that you are the only one who can allow a baseless personal attack on a leader and feel at home but at the same time ,you will jump on the road to block a reply on those wild claims!-this is strangely an unusual open bias on your part. YOU normally ONLY USE ONE SENTENCE to associate the Leader with that episode,and WITH the protection you are getting! !, ,YOU Fool must be the happiest LAIR in the world!. Insulting a political figure, as bad a taste it could represent, is normally tolerated under the freedom of speech. Insults against a private individual, specially anonymously, is bad taste and not allowed on this blog. You have posted close to hundred comments on this blog, and this time unfortunately did not follow our rules. This post was not about Cinema Rex, but some heated comments are. So let's note some facts. In August '78, the Shah declared martial law after violence broke out. On 19 August, four young men set fire to Rex Cinema in Abadan, killing 470 people; the biggest single terrorist attack in Iranian history. In summer of 1980, after the victory of the Islamic revolution, a public trial was held in Abadan. The chief perpetrator who had admitted the crime before the trial, confessed at the hearing and was found guilty and later executed. Hossein Takbalizadeh, the chief defendant, an unemployed drifter, was introduced at the trial as a former member of a religious society. Please read Ettellaat of 6 Shahrivar 1359 for the details of the trial. He would admit in the trial that he gathered three of his friends who shared with him strong religious beliefs, to set fire to a cinema, a symbol of sin in their beliefs. They went to Rex by chance (it was the only Cinema in the area with ticket office still open) and committed that horrendous terrorist act. Now, is the Islamic revolution and the rhetoric used those days responsible for this terrorist act? That's a historical analysis; it could be partly correct, and after all revolutions are not dinner parties. The trial in Abadan, however, was not a proper judicial setting and failed to call witnesses to support or refute any links to revolutionary leaders for the act. May the memories of all those killed that night at Rex live forever. 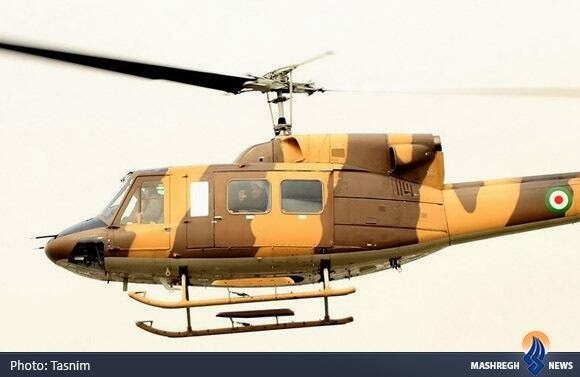 B.M.A.....A "LAIR" is a sheltered place where wild animals like Khameini and his cronies habitually rests or eats and used as a hiding place from the Iranian people. Here is interview about Cinema Rex fire caused by chief terrorist Khameini and his arsonists. If Shah declared martial law, because.... the Rex Cinema tragedy, then the people of Iran should be satisfied with the "steadfastness" of Shah to "pursue justice and restore order", instead they decided to rebel against him and to bestow their trust and power to the religious Leader Ayatollah Khomeini in exile !! 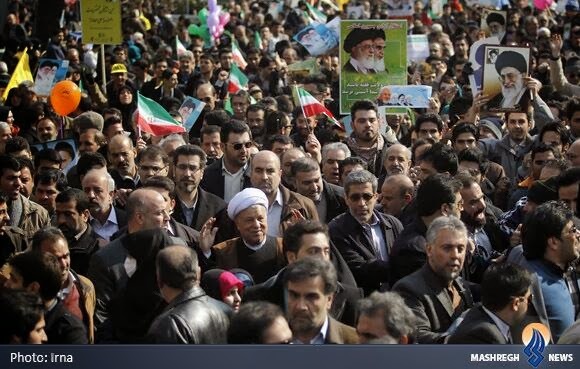 The Islamic Revolution has been a people's protest, against servants of foreign powers and foreign exploitation of the country. In 1953, they elected secular prime minister, who was overthrown by the West and his stooges in Iran. Because previous events showed that secular members are too weak to oppose the Western manipulations, the majority of Iranian people had accepted and bestowed their trust onto the influence of religious leaders and a governance by the Islamic system. Cinema Rex tragedy happened two weeks after Shah declared martial law. Not sure, however, if there was a direct link between the two. The perpetrators, according to testimonies presented at the trial, had decided to burn "a cinema" well in advance of martial law declaration. The rebellion against the Shah was for his autocratic one-man show and total dependence on foreign powers, as the case of being "appointed" the gendarme of the Persian Gulf. 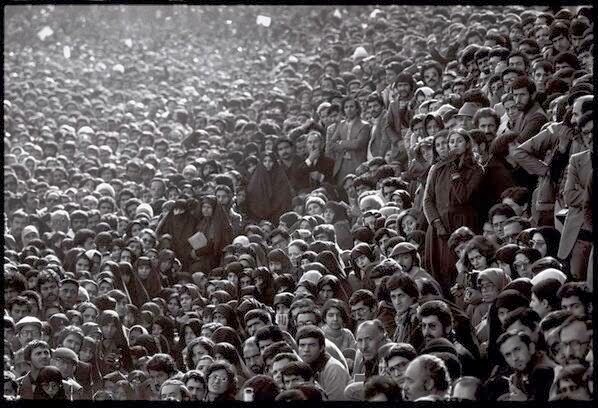 Like any revolutions, different political factions at first unite under the same goal, here the anti-Shah program, but in Iran a faction won and destroyed not only the Shah's government but also other parts of anti-Shah opposition. Tendency to monopolize power and rule as an autocrat was not limited to the Shah, but also exemplified by Imam Khomeini, under the concept of “supreme” leader. Well i would say thanks for having my few poorly worded comments appears here being a very tough place indeed where many among the religious practicing normally can not have the guts to share anything amid the blasphemous environment made worse by foul mouths of Murrtad -individuals whose hearts were hijacked by the cursed one but getting a field day . BUT our house [this blog] will not be the same again if you smash one of the central pillars that build it ,- the pillar of FACTUAL reporting ,a trade mark that has helped catch the eyes of observers of the political and social dynamics if the IRI. The word factual has a meaning in the dictionary which we must strive to satisfy.For example if i bring a false story on the Israel PM and you allow that one to pass through to readers,IT IS your duty to allow other comments that will absolve the Israeli Leader of my lies and thereby get myself exposed as liar.Now what happens of you block those comments that come later to expose me -you stand on middle as one who appear happy as i falsely bombard the Israeli PM ! and this is a vice you have tried your level best to avoid - a principle that has shaped what this blog is today. what i mean is ,it is simply okay if someone calls me a black monkey from Nigeria,or an IRGC front Man in the dark continent,or if MARK is called a 'fanboy' for simply showing a photo of a building!-all these slogans helps to build a cordial environment.But curiously you have been tough at who ever tears your post down ,or any who trashes your post with no tangible facts,and sometimes if facts are brought forward, you quickly turn yourself into an amour! shielding some states and individuals whom you believe are icons of democracy!-well i take no offense on this because i know we need a big brother here too or a respected Referee OF WHOM we can turn to. -the sad news is that you have been very tough, very unjust to the LEADER denying him his honor and achievements .You are quick to allow sinful , unfounded ,unjust claims on HIM at the same time deflect any light that may be attributed to Him.We have been keenly following your posts that touches on the issues of negotiating with the west and we have very sadly watch in disbelief as you portray President Rouhani as the one interested in the peace process while the LEADER is seen as a stumbling block and the face of the conservatives only interested in sitting on the necks of the masses, while HE and the IRGC live opulently.- this is WHILE the whole world and you in particular -know that this is a clever tactic by the IRI [pretending that there are two camps- one led by the Leader that seems not interested by dialogue] and this literally helps on the negotiating table- just as we see on the other side [the US- the while the white house shows willingness to negotiate another arm of the US Government roots for more sanctions and veiled threats of war]apparently in a bid to force the Iranian Officials to take the negotiations seriously!. anon feb 13 at 5:48pm- 'A LAIR' -sorry for the typo though sickened and no thanks for your LIES!. B..M.A...I take it you couldn't be bothered to watch the link I sent you. I guess it's a persons choice to remain uncouth even if there is a wealth of knowledge that surrounds them. Anon 10:43 PM.....Mossadegh was not democratically elected by the Iranian people. Instead of repeating this false flag go and read the Iranian constitution of that time. He was selected by the Shah and accepted by majles. As for the "religious" leaders,they dug their graves when Khomeini created the Islamic republic and put themselves and their cronies in charge of the country. The Iranian people have un-bestowed their "trust" towards these class of charlatans hence the creation of Basij and Sepah by the regime to intimidate the population. Now it's just a matter of time when they will be answerable for their abominable behaviour towards the Iranian people. We’ve had a 12-year period of relative democracy in Iran from the departure of Reza Shah to the 1953 coup. The young Shah practically acted as a constitutional monarch during the period, and not as a despot he later became. The Majlis at that time was actually an elected body. So the prime minister was nominated by Shah and approved by Majlis, whose election was relatively free during that period. This is the way a number of Western democracies also elect their PMs, and is considered democratic. And then Mossadeq won a key referendum at the polls. That's what I said,but you may ask yourself this. Why did Mossadegh want to change the constitution by making the prime minister (himself) the commander in chief of the armed forces when it was the preserve of the king? And secondly how could he have demanded the closer of parliament when it was written in the constitution that only the king (not him) had the right to do so? You see what is happening here as regards the coup? Mossadegh was becoming a un-constitutional dictator. There was a lot of officers in the army and general staff as well as conservative population and clergy that didn't trust what was going on. So just for anyone to say that the coup wasn't supported by a lot of people is false. After Mossadegh was arrested not one person came out to his defence. What does that say to you about his popularity? So Mossadegh is to blame for creating the situation for the Shah to become a paternalistic leader because what had happend to him earlier caused the Shah not to trust politicians ever again. Look at it this way. How would it look if the prime minister of Britain decides to change the constitution of that country and abolish the monarchy? Interesting that you want to portray the 1953 coup as the response of the Shah and his foreign supporters to Mossadeq’s “dictatorship.” As much as the referendum might have been undemocratic and a mistake, the intention of the Shah and his cronies and foreign powers was not to bring democracy to the country. The facts speak for themselves. 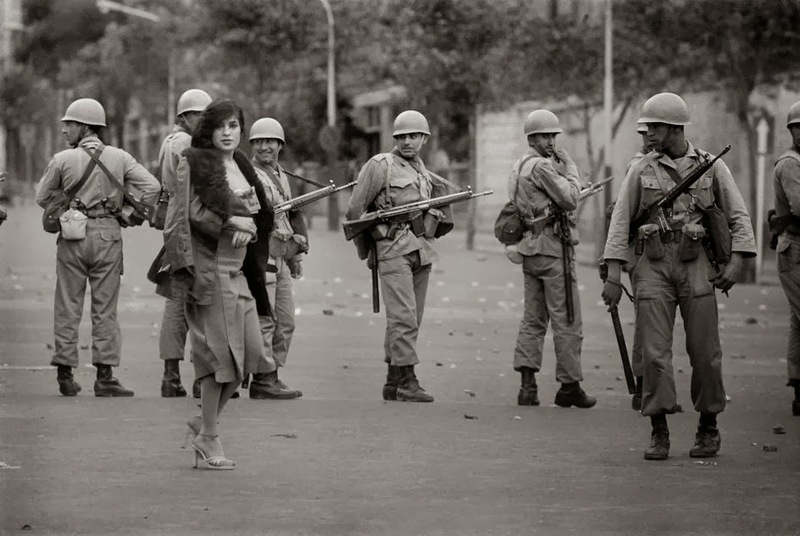 In the days and weeks after the coup was staged, the Shah and his armed forces declared martial law in the country and ruled the country through use of naked force, imprisoned many pro-Mossadeq and other members of the opposition, executing some including Mossadeq’s foreign minister. And it did not stop there. The coup became the beginning of a 25-year despotic rule by the Shah. His SAVAK destroyed all democratic movements in this period, imprisoned the leftist and nationalist leaders and activists. Shah did not let the opposition to form its own venues for political expression, but left the Mosque intact. In fact by doing so he helped propel the religious leadership of the opposition in the name of fighting Communism. A costly mistake by the Shah that eventually helped his overthrow by Khomeini. I didn't portray anything. You just said yourself there was a kind of democracy betwwen 1941 and 1953. I just explained to you the reasons why it failed in 1953,which lead to the Shah becoming a paternalistic leader. But for some strange reason some Iranians are happy believing that Mossadegh was innocent in all this. If we can't agree that Mossadegh was partly reponsible in his own undoing then how can Iranians believe in a future democracy? However,I agree with you about the Shah trusting the Mosque to control opposition against him. It was a disastrous policy for Iran. I have no illusions and came to the conclusion they were both as stubborn as each other and are both partly to blame for the present disaster. One more thing that can't be ignored and that was oil nationalization. At that time there was the powerful oil cartel. Do you honestly believe that Iran with no highly skilled workforce to run the oil industry and no oil tankers with a non-existent distribution network could overcome a powerful company like BP let alone the cartel? On oil nationalization, Mossadeq was indeed ahead of his times. When he nationalized the Anglo-Iranian (later known as BP), he was alone and paid dearly when the British and the U.S. and their Iranian partners staged a coup against him and brought back Shah to power. Now in 2014, it is evident that what he championed became the way of life in all Middle East, in fact the world. Every single country in the region followed his example and nationalizes their oil and natural resources; all the way to Saudi Arabia and the UAE. And Mosadeq championed beyond oil nationalization. He called for and governed as a secular; a goal that was followed in the region during the Arab Spring. He also campaigned against corruption and governed accordingly, a problem that is now understood as the root cause of all problems in the region. Simply, by championing secular government, anti-corruption and national rights over natural resources, Mosadeq proved to be the first modern and progressive leader in the region. Shame on Shah and his cronies for waging a coup against this man (with all his shortcoming as with other humans) and siding with Kashani that ended in Khomeini’s coming to power. You're right,Mossadegh was an progressive secular democrat with no faults what so ever and the Pahlavi's were evil un-progressive non-secular religious tyrants and dictators trying to keep Iran backward. I've come to the conclusion that you simply can't hold a normal conversation with some Iranians about Shah and Mossadegh without adding emotional claptrap insults and propaganda. Since you are in control of this site I leave this post to your discretion. Thanks for your time. I am not emotional about the subject; the fight between Mossadeq and the Shah was before my time. Our conversation here, recorded in the few paragraphs above, is a proof: I don’t attack the Shah personally, and did not attribute to him what you are claiming here. As matter of fact, I divided Shah’s era into two distinct parts. The 12 years after Reza Shah’s exit, and the 25 years from the coup to his own exit. I did say, and I do believe, that the first 12-year period of the young shah, starting with the end of one of the darkest dictatorships in Iranian modern history under his father, and ending with the coup, was a period of relative freedom for all Iranians, including for political parties and marked by a remarkable period of freedom of press and assembly in the country’s history. This is the period that the Shah is a constitutional monarch. After the coup, he established a one-man dictatorship. So bad that in 1970s he could not even accept the existence of his two “loyal” parties and had to declare a one-party state under Rastakhiz, which he controlled. These 25 years are not only dark days for causes of freedom and political development in Iran, but by destroying the secular and progressive opposition to his rule, he allowed the religious fanatics take control and eventually depose him. And on Mossadeq. I did not claim he was free of serious faults. I did say, and I do believe that the referendum was at least politically a wrong move, and definitely the way it was conducted, with people casting their votes under separate yes and no tents or lines was undemocratic. But I also argued that in championing secularism, anti-corruption and belief in national ownership of natural resources, he was the avant-garde in the Middle East. Shame that he had to be taken out by a coup; and even more tragic that such action, alongside the broad attack by the Shah against the progressive opposition of all shapes and persuasion, and his war against free press and freedom of speech, led to coming to power of the people who opposed the Shah from a reactionary point of view. I hope you could address the specific points made here. Thank you in advance.